What does massage do - How does it work? By massaging the skin with firm strokes the body’s circulation is stimulated, which warms and relaxes the muscle tissue. Performing this in sequence then releases the traumatised muscle groups that are creating pain within the body. 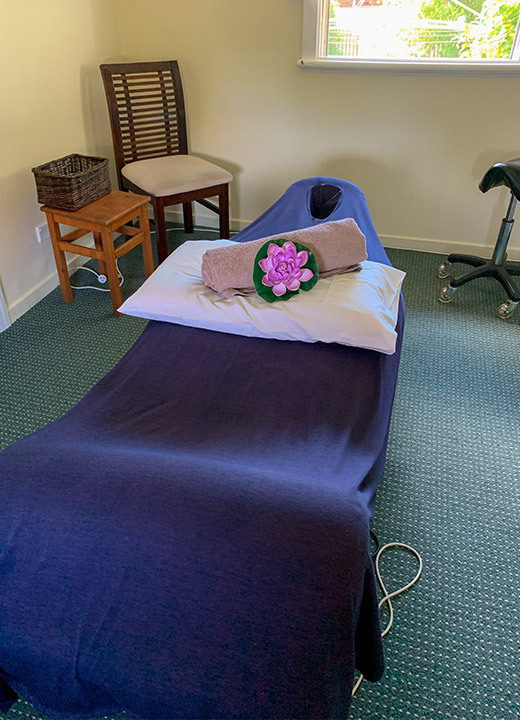 Relaxation massage is using firm therapeutic strokes in a sweeping motion and is done without breaking contact with the client once massage has started. This massage is great for stress and tension. Deep tissue (sports massage) is a firm, controlled pressure which works either along or across the muscle tissue and is combined with pressure point therapy to give a deeper muscular release. At Aroma Touch all of the massage therapists have been highly trained and have government accreditation in remedial massage. This training allows the therapist to change their pressure to suit their client's pain tolerance. At Aroma Touch specific stretches are used to release muscle tissue at a deeper, quicker level without a lot of pain. How do I know how long I need to have? When booking your appointment, the highly trained reception staff will help you to choose an appointment length that will suit your needs by asking a few simple questions relating to your problem. They will then advise you on the appropriate form of treatment as well as the length of appointment needed. Saturdays: 8:00 am to 2:00 pm. Can I claim this on a health fund? You can claim your remedial massage from your health fund if you hold the appropriate level of cover. HiCaps health fund rebate payments available in the centre. Please contact your health fund to find out whether you are covered. All Aroma Touch staff members are accredited with the Australian Association of Massage Therapy. This will enable you to make a claim for remedial massage. We have EFTPOS facilities (Mastercard & Visa). We are not able to accept Amex. Cheques can be accepted with prior arrangement with management.